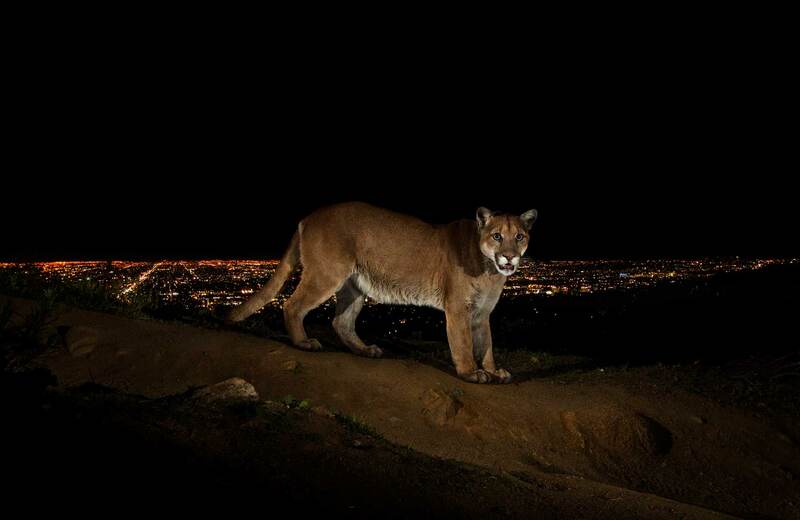 Cougar P22 walks a trail in Los Angeles’ Griffith Park and is captured by a camera trap. This is one of the cougars that is monitored by Santa Monica National Recreation Area biologists. To reach the park, which has been P-22’s home for the last two years, he had to cross two of the busiest highways in the U.S., Highway 101 and the 405.